We are the dealers of all kind of Expulsion Fuses. These are made using high grade material As per customers requirement. As per customers requirement. With rich industry experience and support of highly skilled quality experts our organization is engaged in providing a wide range of Exp Cutout NGT-KA Procelain Series to our valuable clients. 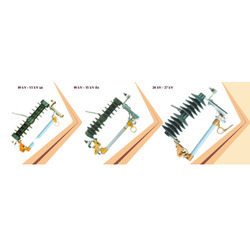 Expulsion type drops out fuse is used for fault protection in rural electrification, distribution systems, and industrial units having medium voltage connections both as primary and secondary backups. The drop out fuse should operate before the connected equipment transformer gets damaged. Generally, D.O. fuse is used as a switching device for protection and is operated with the telescopic insulated rods from the ground level. Our organization Specializes In Providing Premium Quality Expulsion Fuse In Exp Cutout Not-Kp Porcelain Series, Which Are Procured From Reliable Vendors In The Market. These Fuses Are Specially Designed To Offer Complete Protection Solutions Against System Overloads And Short Circuit Fault Currents. Our Range Finds Huge Demand in The Competitive Market For The Excellent Performance, Is Safe To Use And Easy To Install. Moreover, we are Capable Of Meeting The bulk Order Of Our Clients Within A Stipulated Time Frame. 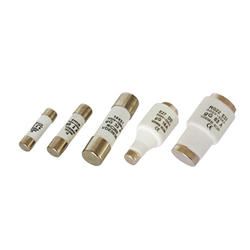 With the rich industry experience and continuous support of our team of experts, we are involved in offering a wide range of NGT M Series Fuse. These are basically used for offering complete protection to homes and apartments from excessive current and voltage fluctuations and are at par with set industry parameters. These are available in comprehensive and exclusive range and are fully tested before being made available for sale in the market. Furthermore, these Capacitor Protection Fuses are fully shock proof. 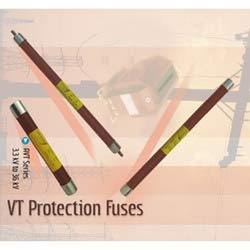 We are one of the reputed organizations engaged in offering VT Protection Fuses in the market. 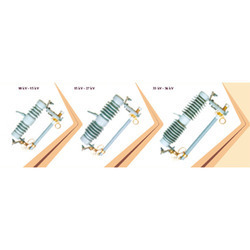 These are designed to take care of switching transients and to ensure protection against any type of faults including inter-turn shorts arising from the potential transformer. These fuse links are used as VT primary protection fuses in order to quickly limit the fault and isolate the VT from the supply source.